As your organization grows, you need even more from your fundraising solution. 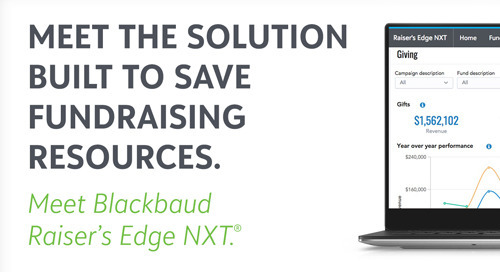 Blackbaud has a portfolio of fundraising solutions to meet the needs of any nonprofit. 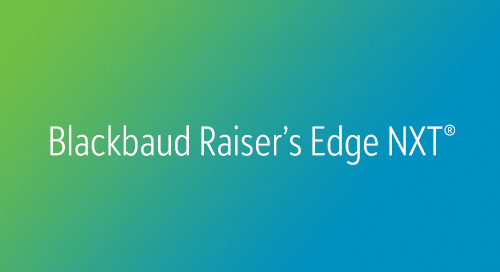 Take your mission to the next level by upgrading to Blackbaud Raiser’s Edge NXT, our award-winning cloud fundraising and relationship management solution that’s smart, scalable, and predictive and will help you operate more efficiently, reach and engage new supporters, and retain more donors. 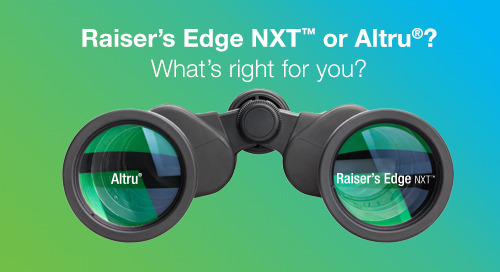 Raiser's Edge NXT or Altru: What's Right for Your Fundraising? Are you ready to put your arts and cultural prospects within reach? Spend 3 or 13 or 30 minutes just going through the software and see for yourself. We will help you prepare so that you can fundraise successfully and with confidence. 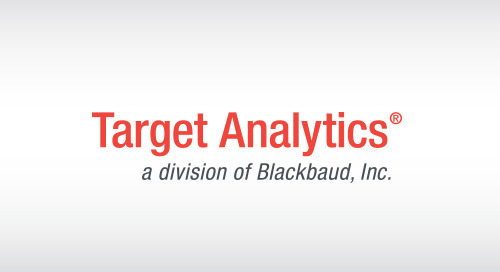 Meet the solution built to save fundraising resources. 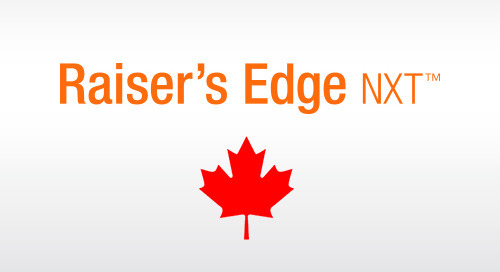 Meet Blackbaud Raiser's Edge NXT.